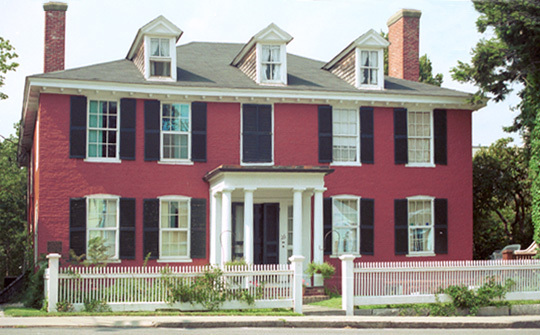 The Whitfield House Bed & Breakfast Inn is listed in Fodor's 2000 Best B&Bs and Inns in America. This elegantly furnished, Nationally Registered 1782 Federal House is located on Plymouth's second oldest street in the heart of the historic waterfront district. Whitfield House offers its guests canopy beds, fireplaces, private baths, full breakfast, off street parking, views of the harbor, and is within easy walking distance to most historic sites, restaurants, and shops.